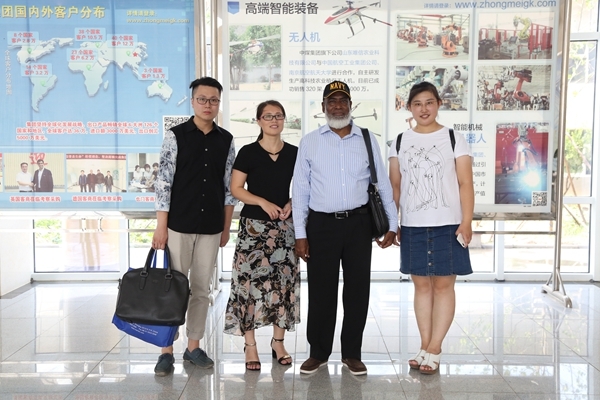 Summary: On the afternoon of September 12, Jining City Association For Science And Technology Vice Chairman He Bo and Office Director Zhai Luke visited Shandong China Coal Group for inspection, inspect for China Coal Group development of E-commerce and innovation of scientific and technological. 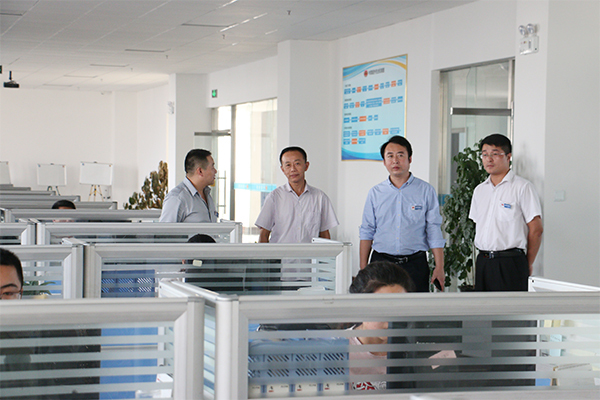 China Coal Group Deputy General Manager Fan Peigong and Li Zhaopeng, Shandong Kate Intelligent Robotic Co., Ltd. Manager Wang Hui and other leaders accompanied reception. 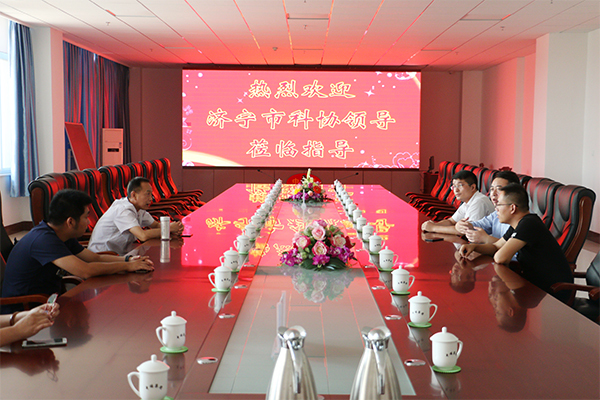 On the afternoon of September 12, Jining City Association For Science And Technology Vice Chairman He Bo and Office Director Zhai Luke visited Shandong China Coal Group for inspection, inspect for China Coal Group development of E-commerce and innovation of scientific and technological. China Coal Group Deputy General Manager Fan Peigong and Li Zhaopeng, Shandong Kate Intelligent Robotic Co., Ltd. Manager Wang Hui and other leaders accompanied reception. Accompanied by Deputy General Manager Fan Peigong and Li Zhaopeng, the leaders visited China Coal Group office buildings, E-commerce Companies, Cross-border E-commerce Company, Network Information Company, Software Technology Company, Weixin Agricultural Technology Company, Kate Intelligent Robotic Company and Intelligent terminal equipment exhibition hall, jointly watched high-tech agricultural plant protection unmanned aerial vehicles and intelligent robot live demonstration, which is independently researched and developed by the China Coal Group branch Shandong Kate Intelligent Robotic Co., Ltd. During the visit, Deputy General Manager Fan made a detailed introduction on the outsourcing development achievements of E-commerce and cross-border E-commerce of China Coal Group, and expounded the Group's business development in the intelligent robot, environmental protection equipment, security and rescue equipment, medical equipment, water conservancy and electrical equipment and other new industries field. The leadership gave a high degree of evaluation to China Coal Group development achievements in the fields of E-commerce and scientific and technological innovation and full recognition to the Group adhere to the global development strategy of multi-industry, high-level, wide-area. 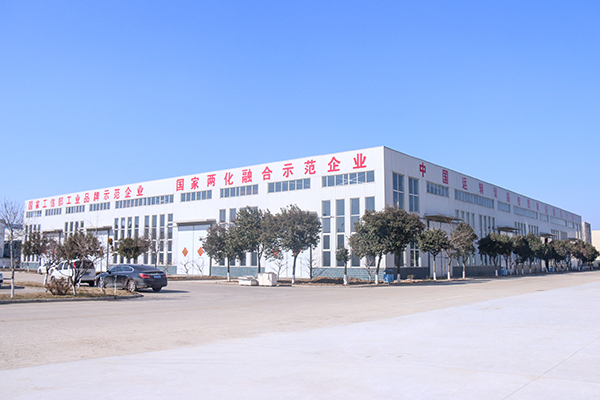 China Coal Group actively promote the enterprise deep integration development of information and industrialization, vigorously develop the industrial supply chain E-commerce, as the industry model in country through the e-commerce information industry promote traditional enterprises successful transformation. Walking in the forefront of the development of the national information industry. China Coal Group won e-commerce integrated innovation demonstration enterprise by Ministry of Industry and Information Technology, innovation and practice awards of China integration of IOII, Shandong Province pilot enterprises of IOII management system standards, Shandong Province outstanding contribution enterprise, Shandong e-commerce model, Shandong e-commerce outstanding enterprise and Jining IOII key demonstration enterprise, highly praised by municipal, provincial and the national leaders many times. At the forum, chairman He pointed out that China Coal Group as Jining City and Shandong Province leading enterprise in the field of E-commerce, is an example of every industrial enterprise learning, set an example for the rapid transformation from traditional enterprise to modern information technology industry. Next step, China Coal Group will strengthen the supporting and leading role of scientific and technological innovation in the process of accelerating the transformation of old and new kinetic energy. Seize the opportunity, make persistent efforts to create a brilliant business in the field of e-commerce! 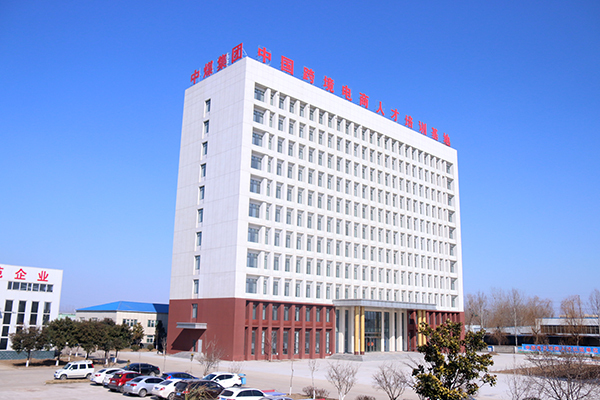 Deputy General Manager pointed out, thanks to the leadership of the City Association fully affirmed in the development of China Coal Group, China Coal Group through the combination of production and research and independent innovation, research and development capabilities and scientific and technological innovation level continues to increase, greatly improving the global core competitiveness of China Coal Group products. 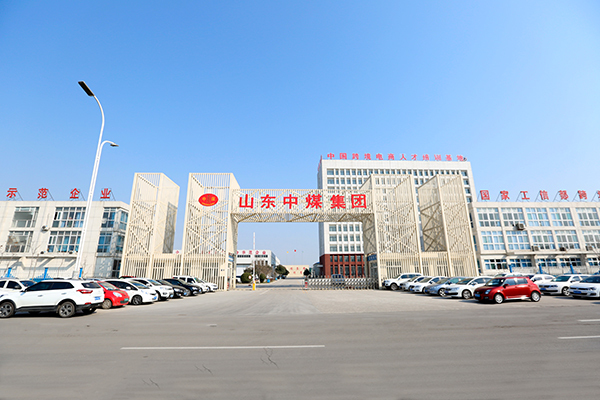 The next step, China Coal Group will accelerate independent innovation capability of high-tech products, and actively improve the function of E-commerce platform. Give full play to the leading role of China Coal Group e-commerce enterprises, make the experience of scientific and technological innovation to promote the community, help more enterprises to embark on the road of scientific development, make more contributions for the national industrial enterprises to innovation and development!